Hooray! I’m planning the first RetroRoadmap “Retro Road Trip / Rock Tour” to South By Southwest (SXSW) in Austin TX coming this March. RetroRoadhusband will be playing some gigs along the way as well, so we’re both very excited about this adventure! 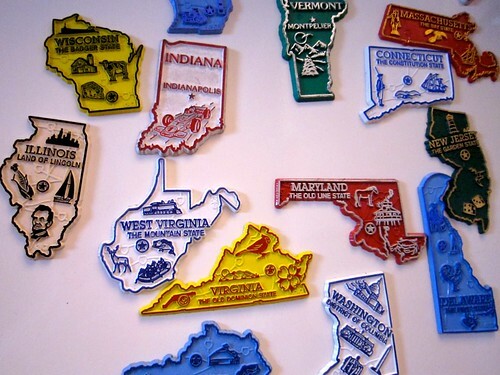 As you can see by taking a look at the list of RetroRoadMAPs on the RetroRoadMAPs page, there are many states that we don’t even have one entry for, and I’m hoping this trip will take care of some of that. and anyplace the road will take us! Can’t wait to be a Retro Road Reporter! I’ll be photoing, posting, Facebooking, Tweeting, and (horrors!) even video-ing! I’ve already got some places pinned to our map, but if you have any suggestions, please post them in the comments below. And if you’re on our route and would like to meet, or host a gig for the RetroRoadhusband that would be swell too! 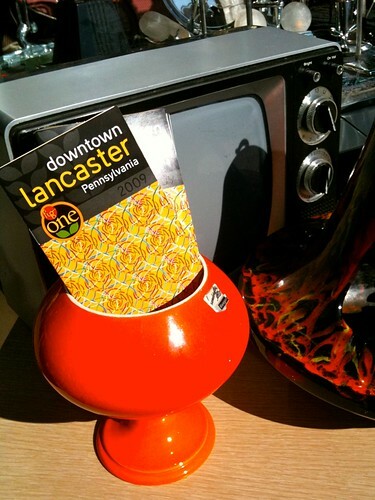 If you go to The Bookstore in Bethlehem PA…tell’em Mod Betty sent ya. Or just to be on the safe side, make a reservation. 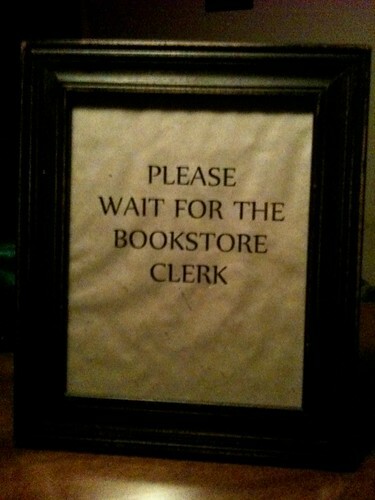 But you’re not reserving a book, you’re saving your place to head back in time, to a jazz-era speakeasy. And it’s the cat’s meow, honeybunch! I heard about The Bookstore from Drew Nugent (of Drew Nugent and the Midnight Society) as we were chatting at John Scioli’s rockin’ retro barbershop. 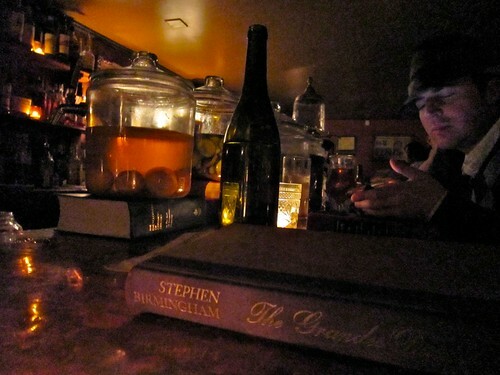 It sounded too cool to be true, a space hidden away in an old building that served artisanal cocktails and nibbles, with a live jazz combo. So when we heard that Drew and his crew were playing there last weekend we met up with our hip Lehigh Valley pals to check it out. Our friends had been there before, so they knew where the discreet entrance was, on the side of an old stone building. 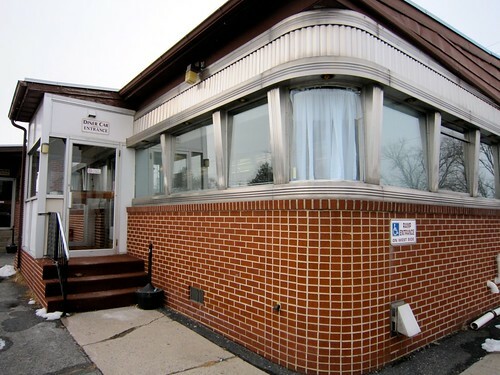 I wasn’t kidding about the reservation part (call or email is your best bet), as the place is small, but charmingly so, and they just might not have room for your party. Luckily the vintage stars aligned for us and the darling hostess offered to cobble together 4 seats at the bar for us walkins. We were led behind the curtain to a low ceilinged space lit by oil lamps and candles, which was a cozy scene on a freezing cold night. The cocktails and hand picked draught beer selections are presented to you inside books and the barkeeps were happy to answer any questions we had about the menu. 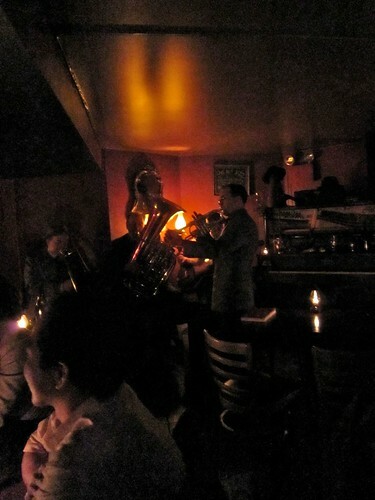 We had perfect seats to watch them craft our tasty cocktails behind the bar, while also keeping an eye and an ear on Drew and his band, playing music from the jazz era. Those cats were swingin’ and totally added to the back in time ambiance. 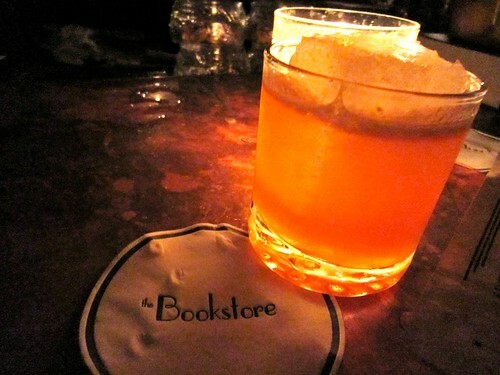 Now I know the speakeasy trend has been in the big cities for years, but with the cool jazz and handcrafted cocktails The Bookstore was the bee’s knees. 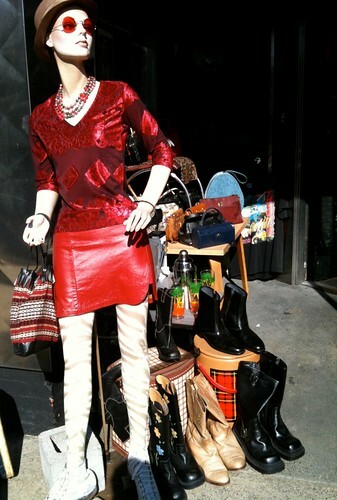 A perfect way to step back in time when you’re stepping out on the town. Recently a RetroRoadmap Flickr follower asked me for some road trip suggestions in my area, and I shared that Route 422 going west from Reading PA is fast becoming one of my favorite retro routes, in part because of places like Risser’s Restaurant / Diner in Womelsdorf PA. A classic diner on one side, homey dining room on the other, it’s two great Pennsylvania Dutch treats in one! 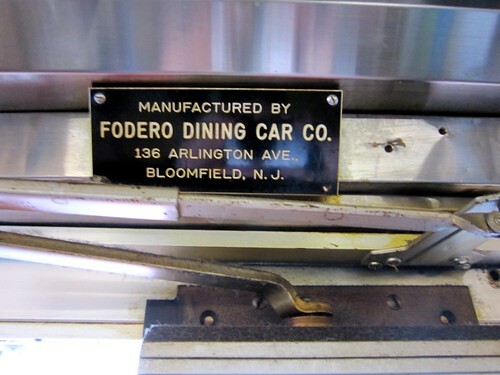 If you weren’t completely convinced that you were in an actual vintage diner, this tag, indicating that the diner was manufactured by the Fodero Dining Car Co of Bloomfield NJ would set you straight. If you happened to be looking directly above the entrance that is! 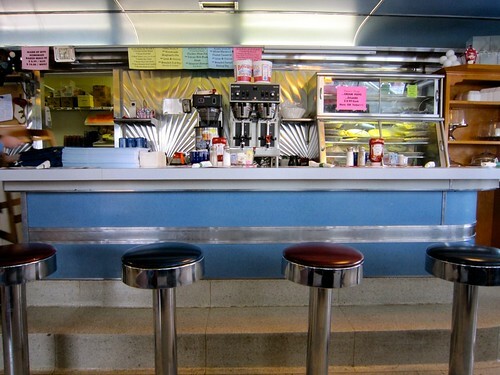 However, all you have to do is look around and see that, with the exception of some newer looking chairs, the diner is pretty much untouched, with it’s classic spinning counter stools, fluted steel backsplash, terrazzo floor and nice clean curved ceiling. We were handed menus from our waitress, but also needed a few minutes to absorb the posted specials. The one above the coffee urn caught my eye for sure! 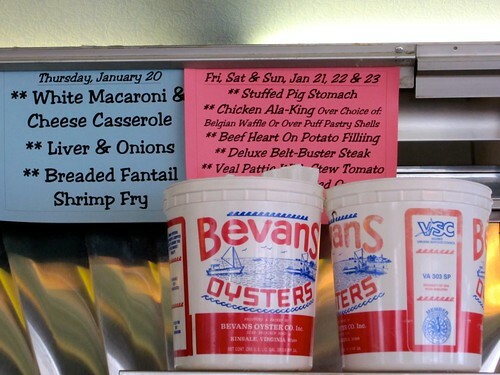 As you can see Risser’s serves traditional diner fare but also some more unusual items – Pig Stomach, Beef Heart, Oysters, veal, beltbusters – oh my! One of the tables near us ordered duck, and that isn’t something you usually see in a diner either, but it looked good. 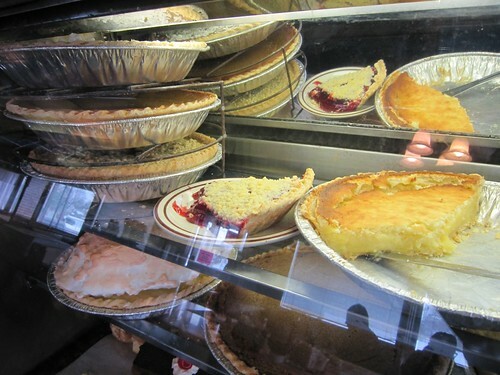 I had a good long look at the pie case before determining that I’d eat small and splurge on dessert. After consulting the extensive menu I fell back on the standard BLT for me and club sandwich for RetroRoadhusband. He decided to get the upcharge to visit the “salad” bar in the dining room for soup, “salad” and ice cream. I use the term salad in little quotey things because Pennsylvania Dutch definition of salad can include everything from greens to macaroni to cottage cheese, to mini marshmallows enrobed in hot pink fluff (ambrosia?). 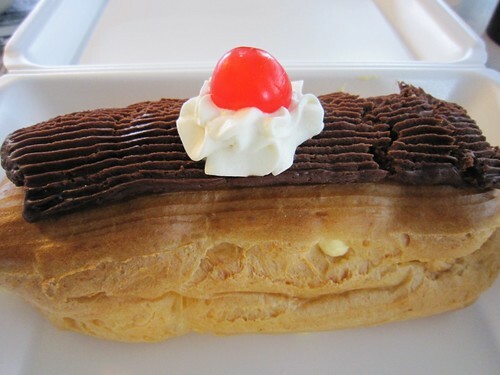 My BLT was good and I was proud of myself for not eating more of RetroRoadhusband’s fries, because as soon as I saw the enormous cream puffs and eclairs (homemade) in the case, I knew exactly what I was going to order after my sandwich. When I told the waitress that I’d probably take most of it home, she wisely suggested that she’d serve it in the to-go box. She was spot on, as this became a delicious gooey mess within moments of us diving into it. Diet be damned! 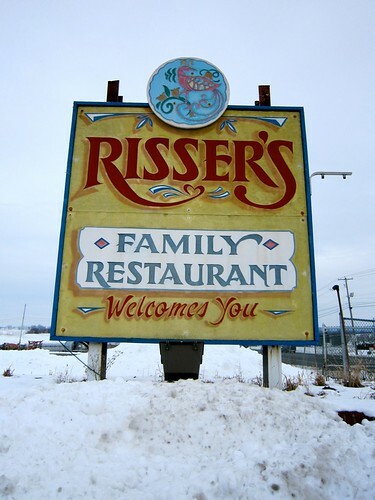 So if you’re looking for standard – and unusual – diner fare while checking out scenic Route 422, check out Risser’s. We’ll be back for sure! I actually posted the “Satellite” view of this area so you could see the patterns and swirls made from the farming. Beautiful! I have just finished adding each RetroRoadmap destination to the RetroRoadMAP by state– but I bet I screwed a few of them up! 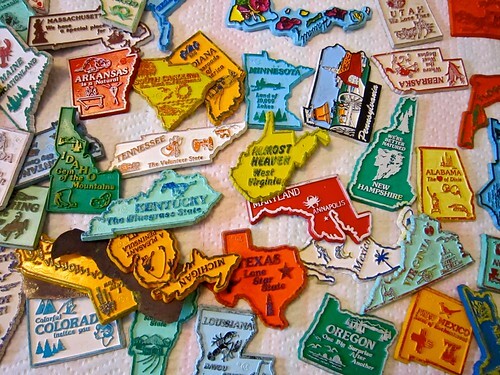 Let me know if you find a link to a map that no longer exists, or is broken, and I’ll send you a vintage travel postcard from my own personal collection as a Thank You for helping me make RetroRoadmap a handy and accurate resource for everyone. One of the things I do to make RetroRoadmap a convenient resource for locating and visiting vintage retro and cool old places is include a clickable map at the end of each post. This way you can see where someplace is, in relation to where you are, and add it to your travel plans, easy peasy! But as you might have figured out RetroRoadmap is a one-gal adventure here, so as well as sourcing places, traveling, photoing, writing, interviewing, uploading, editing, linking, and commenting I am also my very own IT Department. So when the initial RetroRoadmap had too many entries, I started making individual maps for each state. But knowing me I bet I forgot to put some places on their new state map or something like that – c’mon, I mean there are well over 400 posts on RRM, and I do this all in my “free” time after my full time job, so that’s my story. BUT if you happen to come across one of these boo-boos, don’t get mad, help me out! Leave a comment underneath the post letting me know what happened when you clicked the map. I’ll get the comment, fix the map and send you a postcard from my collection as a Thank You for being my QA department. I will even put the postcard (suitable for framing) in an envelope so it won’t get all mangly in them mail. Sound like a plan? Plan! 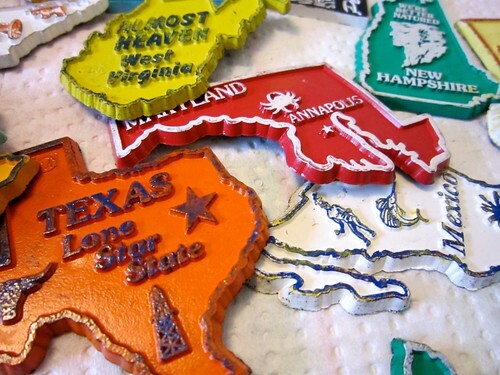 And speaking of plans…we’re planning a HUGE RetroRoadtrip to Austin TX in March, but more on that later!! 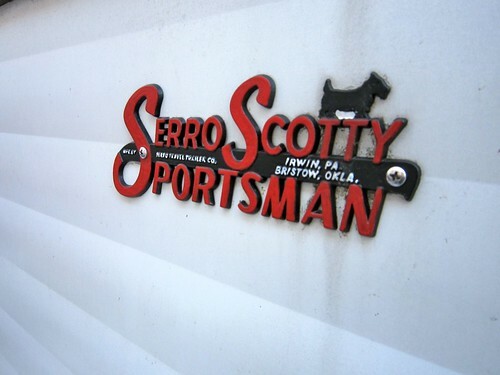 But here’s the big reveal for everyone – if all goes well this week, RetroRoadhusband and I will soon be the proud owners of a vintage 1964 Serro Scotty Sportsman Camper! I have been eyeing this cute little camper for years on my way to the grocery store and right before Christmas I noticed a small handmade For Sale sign on it. 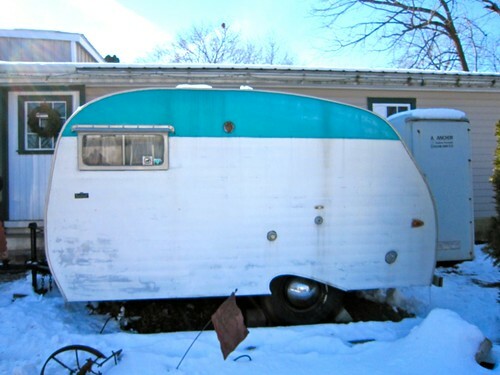 It has been in the same family for 15 years and they’re looking to upgrade to a larger vintage camper. I was smitten by its small size, condition for it’s age and cute little aqua stripe! 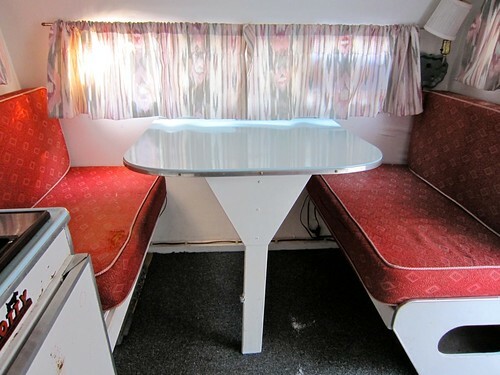 The thing that impressed us the most was the fact that the camper’s interior has many of it’s original features, including the cheery red cushions, aqua sink and rounded mirror. 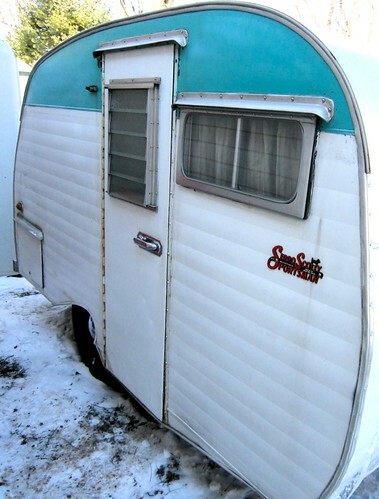 So while we’re not campers, nor sportsmen, and currently don’t even have a car to tow it with, we’re adding this cool camper to our collection, to work on and learn all about – so very excited to welcome this little guy into the RetroRoadmap family!